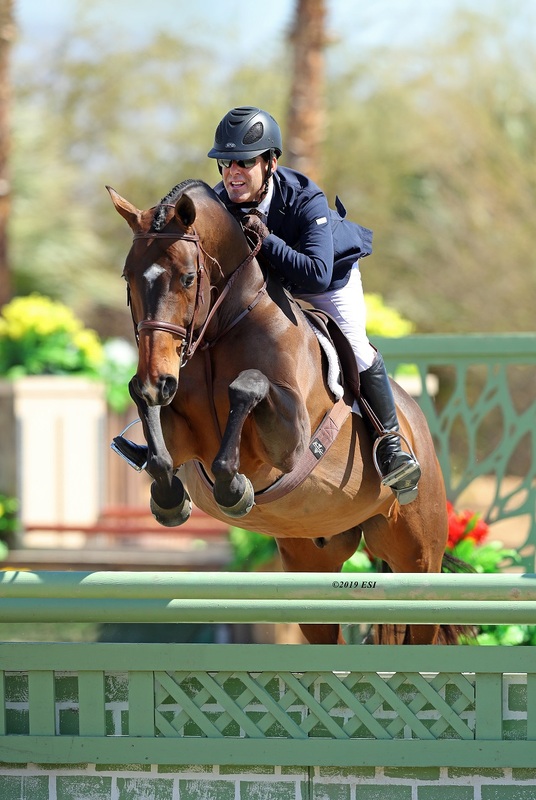 The 2019 edition of the HITS Coachella Desert Circuit continues with riders claiming blue ribbons in featured hunter and jumper competition and points toward circuit champion awards. In just one week, the HITS Coachella Desert Circuit will come to a close with the presentation of the Adeptus 2nd-Half Circuit and HITS Overall Grand Circuit Champion awards, and the Seventh-Annual AIG $1 Million Grand Prix. Top honors in the $5,000 Johnson Horse Transportation Open Welcome were won by Jeff Campf for his ride aboard TENDER STAR. Campf would soar through the timers in 39.276 to take the blue ribbon. 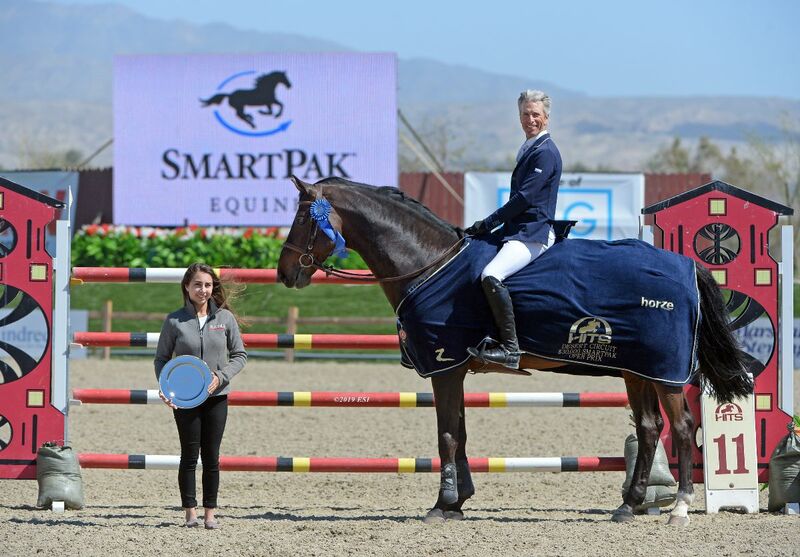 Richard Spooner started a successful week on Friday afternoon with top honors in the $30,000 SmartPak Grand Prix which was held as a Table II speed class. The "Master of Faster" took the victory aboard ARTHOS R in a time of 65.757. Claiming the blue ribbon in the $10,000 Summit Joint Performance Jumper Classic was Cassio Rivetti for his ride aboard CASSI. Rivetti jumped clear in 35.990 to secure the blue ribbon and moved into the third place spot in the Summit Joint Performance Leading Rider standings. Spooner added another top placing to his record with his ride aboard FAY LOVSKY S.V.L. in the $15,000 KindredBio Jumper Classic. A clean round in 38.604 secured a blue ribbon finish and vaulted Spooner to the top of the KindredBio Leading Rider Award standings. Nicolette Hirt & UNA ACORADA claimed the blue ribbon in the $1,000 Charles White Hay Sales U25 Classic. Top honors in the $3,000 Junior 1.20m Jumper Classic went to Ashley Buchanan & CHIANTI CLASSICO, while Jayme Omand & ZADOR would soar to first place in the $3,000 A-O/Am 1.20m Jumper Classic. 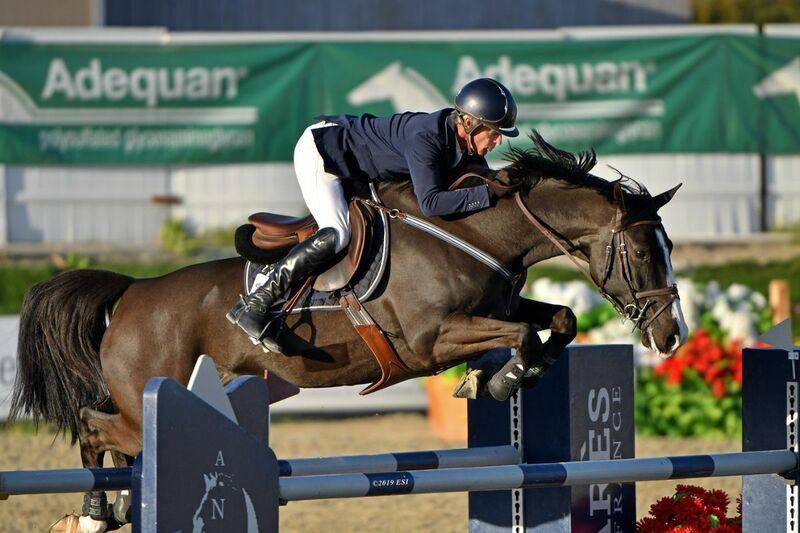 Taking the win in the $5,000 Wilmington Trust Jr/A-O/Am 1.35m Jumper Classic was Delany Batter & EVOLINUS. Alexa Webber & DAUPHIN jumped to a first place finish in the $10,000 Jr/A-O/Am 1.45m Jumper Classic. Taking top honors in the $70,000 UlcerGard Grand Prix was Ament for her rider aboard DEXTER R. Ament crossed the timers in 39.632 to claim the blue ribbon by just two one-hundredths of a second. Riders were hungry for the blue ribbon as they joined us in the Main Hunter Ring on Friday for Hunter Prix day. The Platinum Performance and Devoucoux Hunter Prix are both qualifiers for the HITS Championship, September 4-8. The top 50 riders based on points earned are invited to join us in Saugerties, New York for the Platinum Performance and Diamond Mills Hunter Prix finals. Irene Neuwirth and TWINKLE TOES were awarded first place in the $1,500 Platinum Performance Hunter Prix. Moving up from her second during Week VI, Neuwirth scored 88 and 86 in her rounds, respectively, for a cumulative score of 174 and the blue ribbon. The top call in the $5,000 Devoucoux Hunter Prix went to Peter Lombardofor his ride aboard ACADEMY AWARD. Lombardo guided his mount to a first round score of 89.5, and followed that up with a score of 89 in the second round, for an overall score of 178.5. The excitement isn't over yet! Even more featured classes are coming your way during Week VIII of the HITS Coachella Desert Circuit. From the R.W. 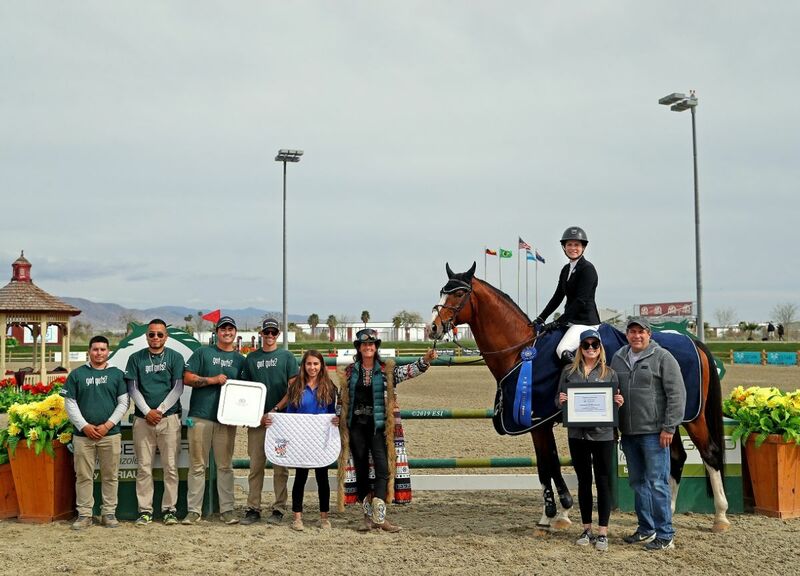 Mutch Equitation Championships and the $25,000 USHJA International Hunter Derby to the presentation of the Adeptus 2nd-Half Circuit and HITS Overall Grand Circuit Champion awards, Week VIII will send the HITS Coachella Desert Circuit off with a bang! 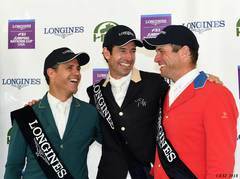 All this leads up to the unprecedented Seventh-Annual AIG $1 Million Grand Prix on March 17. Show jumping competition continues at the AON HITS Desert Horse Park through March 17. Make your plans today, whether you're interested in showing or just coming to spectate! For a complete listing of results, head to HitsShows.com. Follow all of the excitement on social media or watch LIVE on ShowHorse TV!